Nutley Notables, men and women their impact on our town. Nutley Notables -Volume One includes Old West sharpshooter Annie Oakley who has a street here named in her honor; home-diva Martha Stewart who grew up on Elm Place and often writes of growing up in Nutley but has no street named for her; and others who may have to wait a while for street naming honors. The township of Nutley, New Jersey, has accumulated a wealth of celebrated and eccentric people who over-shadowed the salt-of-the-earth folks who lived here, raised their families and built the town into the place that Norman Rockwell only dreamed of illustrating for the cover of the Saturday Evening Post. 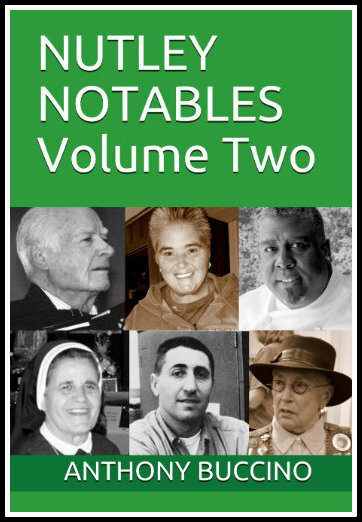 At all our events we asked for your suggestions for candidates to include in Nutley Notables - Volume Two, we thank you and hope you enjoy the diverse biographies we've included here. This is a must-have book for anyone who loves Nutley or who is interested in the town. It is written with a winning combination of affection and scholarship. I grew up in the town and it was wonderful to rediscover people who were figures in the town when I was younger - kind of like coming home again. It was equally wonderful to discover people I never knew about. I'm ordering additional copies for my friends who grew up in Nutley too. Great book that helps you understand Nutley's great forefathers and current notables and why the Township is one of the best in the nation. Needs a better editor, but the info is great. 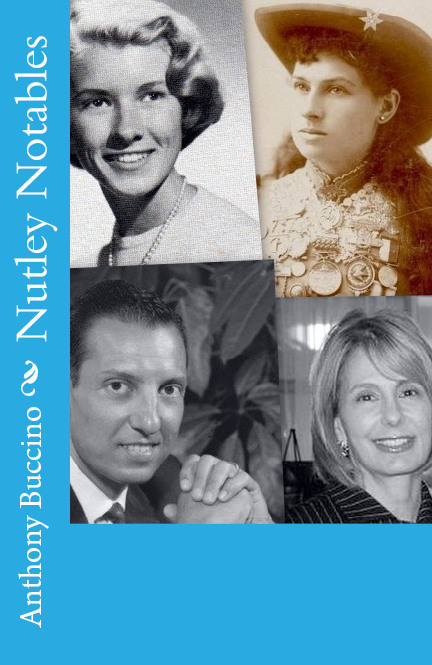 Nutley, NJ, author Anthony Buccino's stories of the 1960s, transit coverage and other writing earned four Society of Professional Journalists Excellence in Journalism awards. Copyright © 2011-2019 By Anthony Buccino. The Nutley Notables project is not funded or underwritten by any group or government entity. Does your local group want to learn about Nutley Notables? Click here and contact us to arrange a visit to your group.